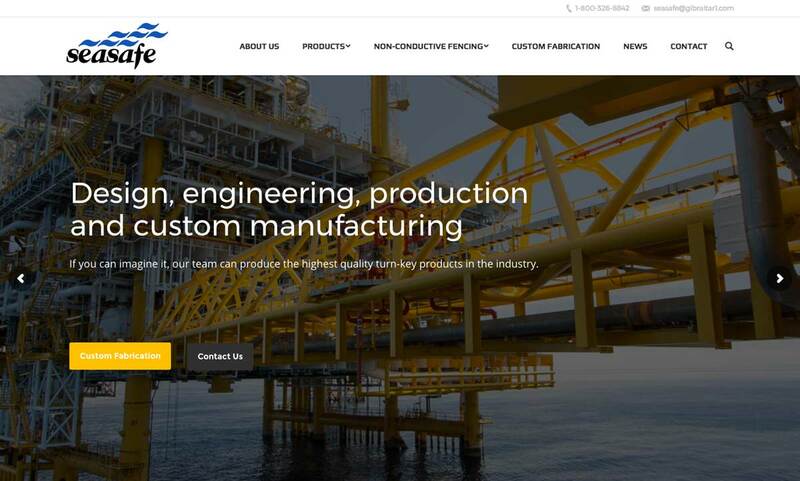 AMICO is proud to announce that SeaSafe, has officially launched its new website! This mobile–friendly design includes our full product catalog with intuitive navigation and a fresh new design. 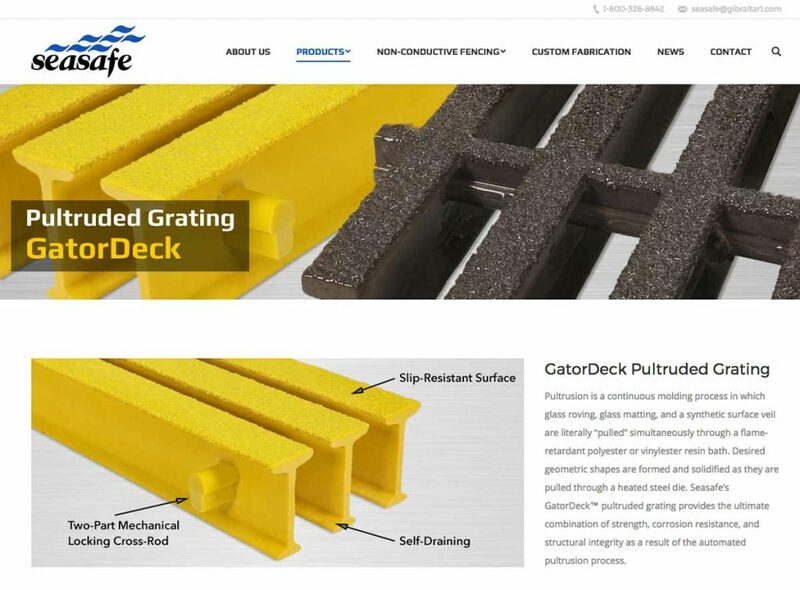 From the main menu, viewers can access individual pages outlining specs for SeaSafe’s FRP Grating products — GatorGrate™ Open Molded Grating, GatorDeck™ Pultruded Grating—, FRP Cable Trays — Ladder Tray & Accessories, Channel Tray, and Non-Conductive ANC Composite Fence System. Viewers can also easily gain access to SeaSafe Custom Fabrication services, outlining information on FRP products. SeaSafe will keep readers up–to–date through the News Page, and also easily contact a representative for more information about any scope of services needed. Stay tuned in to the latest news from SeaSafe Inc. by following them on Twitter, Facebook, and LinkedIn, below. ©2019 Amico. A Gibraltar Industries Company.